GM Small Block Chevrolet oil filter adapter. 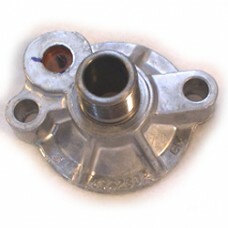 This is a production item that bolts to the oil filter location on Small Block Chevrolet blocks to enable mounting of spin-on conventional cartridge oil filter. It contains a filter bypass valve.